John Callas is an award–winning writer, director & producer who has helped create over 100 titles. No credits match your search. Please try something less specific. Could You Save Your Baby’s Life? 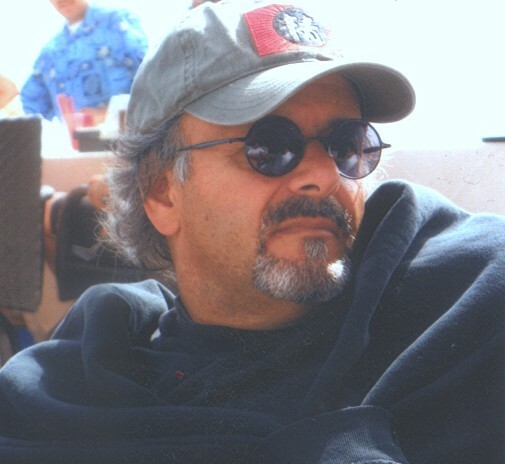 John Callas is a veteran writer/director/producer in the entertainment business. His experience ranges from the worldwide release of feature films to numerous motion picture trailers, national and international commercials, live action title sequences, a documentary shot on location in Russia, as well as having been the Worldwide VP for The Walt Disney Company while working at a large post production facility. Take a look at what clients are saying about John Callas. "I just worked with director John Callas and someone should give him a raise." "Longevity and loyalty are rare in the movie business, but you'll discover both with John. He knows his stuff, does his homework and puts the show first - but not to the detriment of his crew. As a director of photography I couldn't ask for more." "John Callas is the best director I have worked with in this town…in this town." "John is a doer. Present him with a business problem and it will get resolved. John has the ability to see the big picture, think strategically, and then follow through to implement a resolution. John provides a unique mix of industry know how, television and theatrical creative savvy and practical advice."